It is ten years since the Government committed to a strategy to transform the way support is planned through personal budgets. 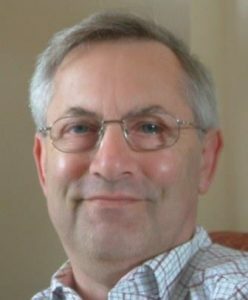 Colin Slasberg, an independent consultant in social care - and familiar to readers of Chief Social Worker for Adults Lyn Romeo's blog - offers his personal view of progress to date. Personal budgets were originally defined as sums of money, calculated using a resource allocation system, and provided ‘up-front’ to enable service users to choose the support right for them. The 2014 Care Act subsequently placed personal budgets on a statutory footing. How to judge progress? The evidence has been mixed. Last year, the National Audit Office could not find evidence that individual success stories had extended into system wide change for the majority. Think Local Act Personal (TLAP), the body charged with progressing the strategy, are planning how councils might generate such evidence. In the meantime, we now have two recent High Court judgements that are the first to test the way needs are assessed and support planned under the Care Act. They involved two councils against whom service users sought judicial reviews of their assessment and support plans. The judgements are detailed - between them they run to 35,000 words. They are a good test of the changes brought about by the new legal provision of personal budgets. The judgements are notable in that the concepts central to the personal budget strategy - 'up-front allocation’, ‘resource allocation system’ and ‘indicative budget’ are not mentioned at any point in either judgement. The concepts played no part in either of the claimants’ cases against the councils, nor in the councils’ defence against their claims, nor in the deliberations of either judge. The phrase ‘personal budget’, on the other hand, is used. It describes the financial value of the council’s offer to the service user. This, indeed, is precisely the meaning the Care Act gives to the phrase. It is calculated after the council has decided both what needs will be met and with what resource. It requires councils to subsequently tell service users what their ‘personal budget’ is as part of their support plan. The Act itself makes no mention of up-front allocations or resource allocation systems. The net effect of this definition is that the term ‘personal budget’ has replaced the term ‘care package’ to describe the support a council offers to a person. This is to be welcomed. Care packages were likely to be expressed in terms of services. It lent itself too easily to the service menu driven approach to assessment and support planning. ‘Personal budget’, on the other hand, is suggestive of a more flexible approach to the support a person is offered. Money, not services, is the currency of support planning. However, it is a quite different definition of what a personal budget is from the one used in the launch of the strategy. It falls short of the vision of transformative change, where up-front budgets transfer power from the council to the service user. The original meaning has been lost in translation from drawing board to implementation. This perhaps explains TLAP’s findings in its recent survey into the relative impact of the Care Act. The term ‘personal budget’ is now firmly in the day to day vocabulary of the service. However, its diminished interpretation means the search for ways to personalise the system - given that councils remain firmly in control of how needs are defined and met - is still on. I'm currently fighting for my son to have a Needs Assessment, a draft was written 16 months ago, I've said ever since that it is inaccurate and incomplete. I was promised after meeting the Head Complaints Officer of Hampshire County Council that it would definitely be updated, plus care budget plus care plan, before a Case Conference on 22nd August. The Care Manager set a date, then changed it as she was buying a house. She wanted her boss to come along too, but she is on long term sick. I was offered a date recently of 19th August, leaving just one clear working day between then and the Case Conference, but my son and I have an appointment already for that day. Yesterday, I was told that my son, initially allowed 34 hours a week, then reduced to 25 hours, should have his hours reduced to just 19 hours a week. This would leave him home alone, with a mental age of just 3 years old, for 19 hours every Saturday and Sunday. He went missing for nearly 2 hours last week, no one had a clue where he was, not answering his mobile phone, not at home. He'd got bored and decided to go shopping in the new Lidl, over a mile away. His road safety skills are poor and the journey involves crossing several busy roads. When he ws moved from residential care to Supported Living in 2006 I was assured by the LA that the care would be just the same as in residential, just organised differently. As for doing what he wants, when he wants, the LA commission an agency to do everything, but they don't. Last week I was promised he'd do something really interesting. He went to a Car Boot Sale! I am the father of a severely brain damaged son who is now approaching 50. My son lives at home with my wife and I, both in our 80's. The council although given him a personal budget have refused to increase it and I have been refused continuing healthcare by the NHS. As he is living at home I am unable to claim housing benefit. Subsequently I am still carrying out some of his care needs, with great difficulty. I think Personal Budgets are a great idea, but like all good ideas there is not the funding to support it. Anthony's comment illustrates the key point well. It appears his son's 'personal budget' is a cash sum, rather that a package of services. However, Anthony judges the required size of it against his son's actual needs, not some notional figure arrived at formulaically. The 'great idea' is to have cash rather than services, so long as you have what it takes to create and manage your own support plan, or do so on behalf of a loved one. This idea has been around for 20 years. It is a direct payment, although of course calling it a personal budget works perfectly well. But it is not a 'personal budget' as defined by policy. The situation is similar for Jill. For both, the key issue is what their actual needs are, from which the level of resource that is required follows. Sad that yet another initiative with great transformative potential has been nutered. After Brexit is it permissable to say "quelle surprise". I think most private sector executives would have job security issues at such poor leadership performance levels. Once upon a time Government had a pay peanuts get monkeys approach to senior salaries, but that's not true any more. Let's see our health and social service leaders earning their keep - or face their own zero personal budget. The peasants are close to revolting, Whitehall!